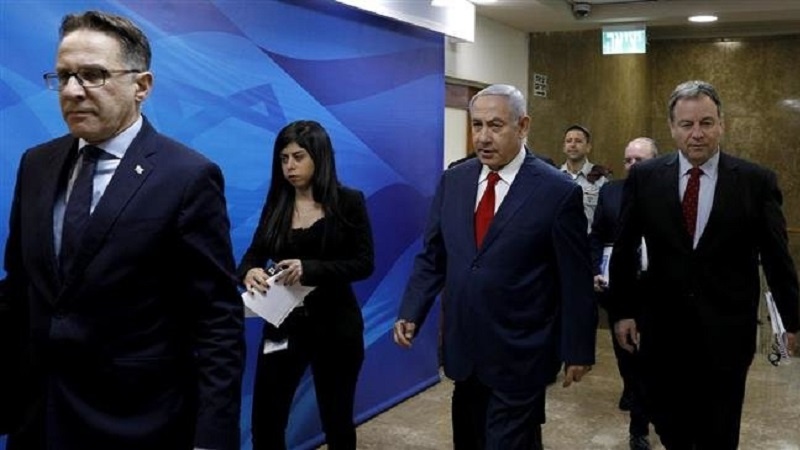 Zionist regime’s Prime Minister Benjamin Netanyahu has promised to implement a controversial plan to deduct certain amounts from the tax the Tel Aviv regime collects on behalf of the Ramallah-based Palestinian Authority (PA). According to Press TV, Netanyahu said during a press briefing in the occupied al-Quds on Sunday that his so-called security cabinet would approve next week a deduction in tax revenues relative to the amounts the PA pays to the Palestinians languishing in Israeli jails or the families of those martyred by the regime’s military. The Palestinian Ma’an news agency, citing Israel Hayom newspaper, had earlier reported that the Israeli ministry of war was in the “advanced stages” of determining how much funding would be withheld.